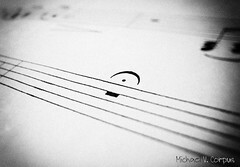 For a musician, the symbol for rest on a sheet of music signals them to completely stop playing for an interval of time. It is a period of silence that is sometimes used as a dramatic pause to draw attention to the next few stanzas, sometimes it is used as relief for the intensity of the previous stanzas, sometimes it is used when changing from one cord or instrument to another, and sometimes it is used to mark the beginning or the end of a piece. There are several different symbols used in music to signify different periods of rest such as whole note rests, quarter note rests and eighth note rests. Just as in music, we too have different periods and purposes of rest in our lives. We need rest both mentally and physically in order to renew our strength, gain proper perspective on our circumstances, or prepare of a period of future intensity such as the birth of a baby, new job, new home or new relationship. Daily Rest. Our bodies are naturally designed for daily rest through sleep. The amount of sleep depends on the individual, age, and circumstances of the day. For instance, a growing newborn baby requires more sleep time than awake. In contrast, an adult doing little physical labor may require less sleep then one engaged in daily physical labor. When we lack sleep or lack good quality sleep, our mental and physical abilities are not at their best performance. Weekly Rest. However, we need more rest than our daily sleep requirement which is why one of the Ten Commandments is to honor the Sabbath. The Sabbath is one day from sundown to sundown of complete rest, no working every week, giving praise and thanks to God. Some celebrate this day on Saturday, some on Sunday, and some on other days of the week depending on their work schedule. This is an essential period of rest because it rejuvenates our energy levels, aids in proper perspective of our lives, and recognizes our blessings come from God. Shelters, seven-day holiday renews our commitment to God, trusting in His guidance and protection. These periods of rest are designed to be like the rest notes in a piece of music. Each has a purpose and period of time designed to renew our strength, give thanks, restore our relationships, reflect on the past, and remember the goodness of God. What are the holidays that you celebrate? Are you using your vacation days every year and resting? Are you taking out one day a week for complete rest? Are you getting enough daily rest through sleep? Our periods of rest as in a music sheet helps to mark the significant events of our lives, binds us together as a family and strengths our faith in God. Yes, which one. It is some ridiculous hour when by all logic you should be sound asleep yet you find yourself wide awake for reasons beyond your understanding. So what do you do? Do you lie in bed trying to get to sleep? Do you get up and do some work? Do you turn on the TV in an attempt to distract your thoughts? Or do you wake up someone up to help you go back to sleep? Which to choose? “It appears that every man’s insomnia is as different from his neighbour’s as are their daytime hopes and aspirations.” F. Scott Fitzgerald realized that one solution may work for you but may not work for your friends. You are different in personalities, dreams and experiences from others and even at times your personality, dreams and experience changes from part of your life to another. So finding a solution to the sleeplessness today, may not work tomorrow. This is why you need to have multiple solutions ready at a moment’s notice. 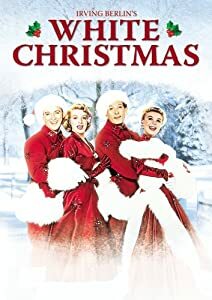 “When I’m worried and I can’t sleep I count my blessings instead of sheep…” Bing Crosby’s gave this advice in the 1954 classic “White Christmas” when his soon to be girlfriend was having a hard time sleeping because of her pestering sister. This is a reasonable approach which does work on occasion mostly because it distracts you from the thoughts that are consuming you in the middle of the night. Counting your blessings is about focusing your thoughts on the things you are grateful for instead of the things that need to be done or are causing you anxiety. This attitude of gratitude has a calming effect and you might find that you fall asleep while counting all of your blessings. “If you can’t sleep, then get up and do something instead of lying there worrying. It’s the worry that gets you, not the lack of sleep.” Dale Carnegie’s advice suggests that is it better to get up and work then to worry. If you are struggling with a deadline, thinking about the email you forgot to send, or just realized a solution to a problem you have been pondering, then getting up and tending to the issue may be the very trick that allows you to get back to sleep. The little bit of sleep that you lose in productive work may actually be less than the sleep you would lose lying awake in bed worrying. “You sleep alright?” asks the railcar employee to Eric Little as they arrive in London just before the Olympic trials from the movie “Chariots of Fire”. “Like a log,” replies Eric Little waking up from his overnight railcar and looking at the newspaper. “Aha, must have a clear consciousness,” he replies. A clear consciousness is one of the many ways to encourage the elusive sleep. Oftentimes as your mind rests, you become aware of mistakes from the previous day. If the thoughts that consume you are about your mistakes or other people’s mistakes then it is best to develop an attitude of forgiveness. Forgiving yourself and others is one way to clear your conscious and allow sleep to return. William Wordsworth concludes in his poem “To Sleep”. Sleeping will rejuvenate your body and mind and is essential for productive living. So the next time you find yourself sleepless, change your attitude to an attitude of gratefulness, an attitude of productivity, or an attitude of forgiveness and see if one of these does not help put you back to sleep.